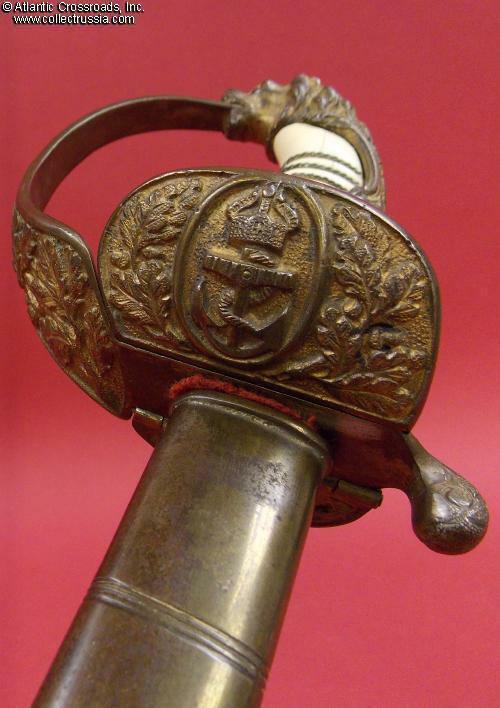 Imperial German Naval Officer's Sword, WW1 era. 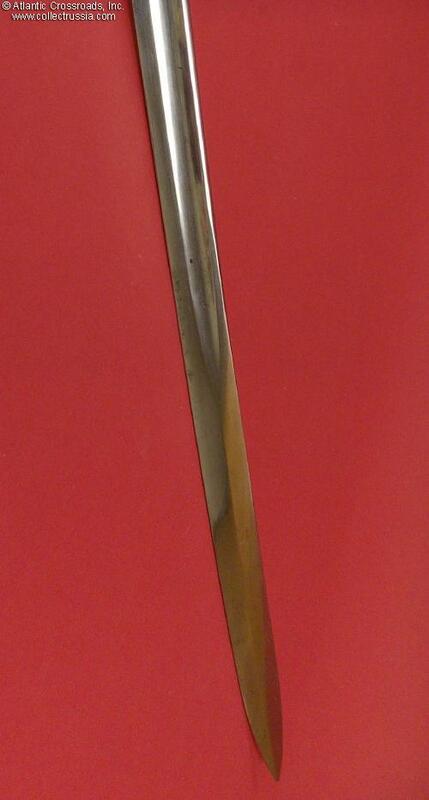 Overall length is scabbard is 34.5". 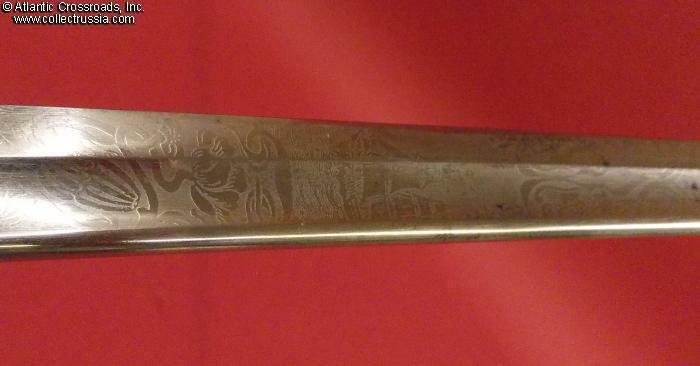 The brilliant 29" blade is etched throughout with intricate motif of sailing ships, compass, cannon, anchors, florals etc. 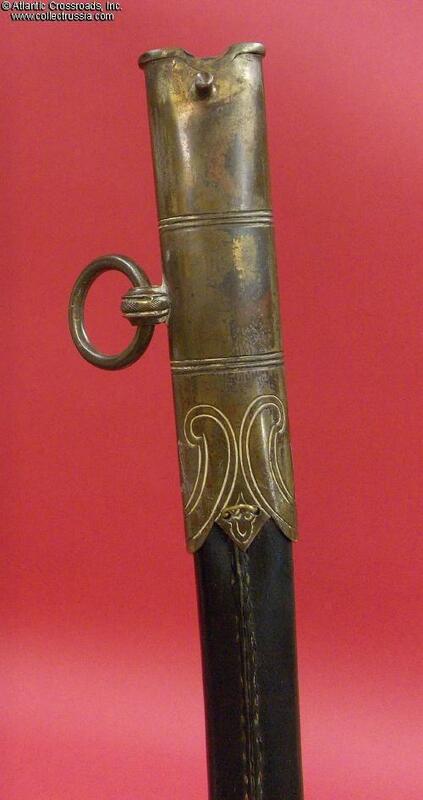 ; its artwork is amazingly imaginative, complex and elegant even for a dress sword of the period. 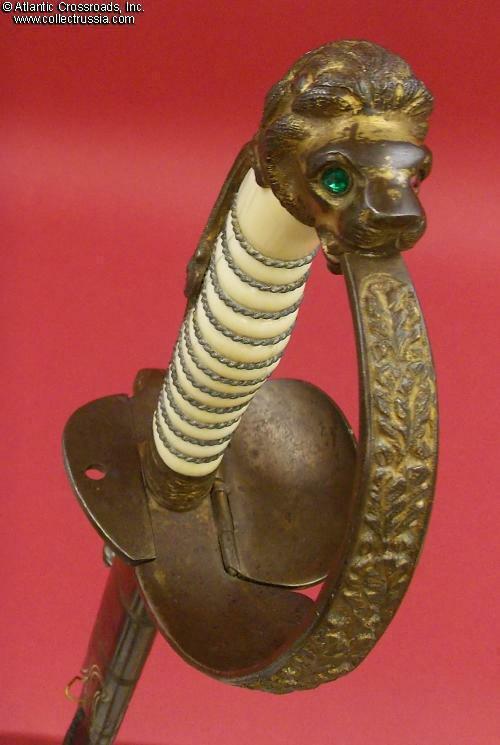 The hilt of brass-plated and gilded steel is of superb quality as well, featuring the traditional Lion Head pommel with a pair of colored crystals representing eyes. 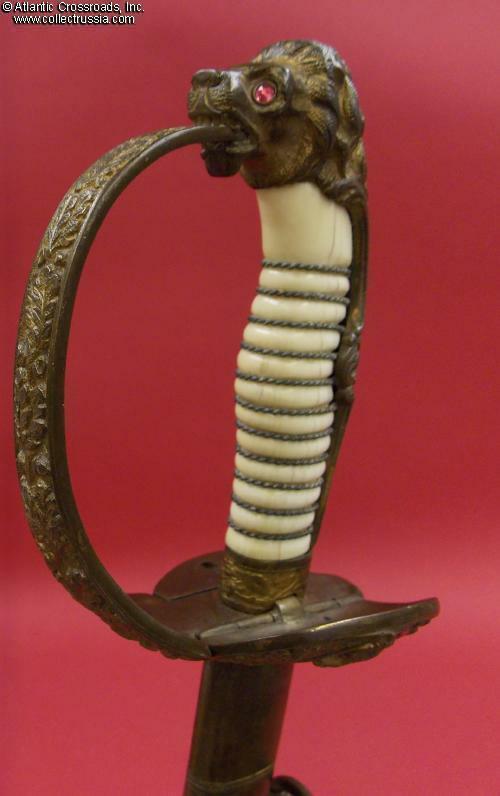 The grip is in genuine ivory with twisted wire wrap. The knuckle guard features fouled anchor with Imperial crown and oak wreath in sculptured tri-dimensional profile. 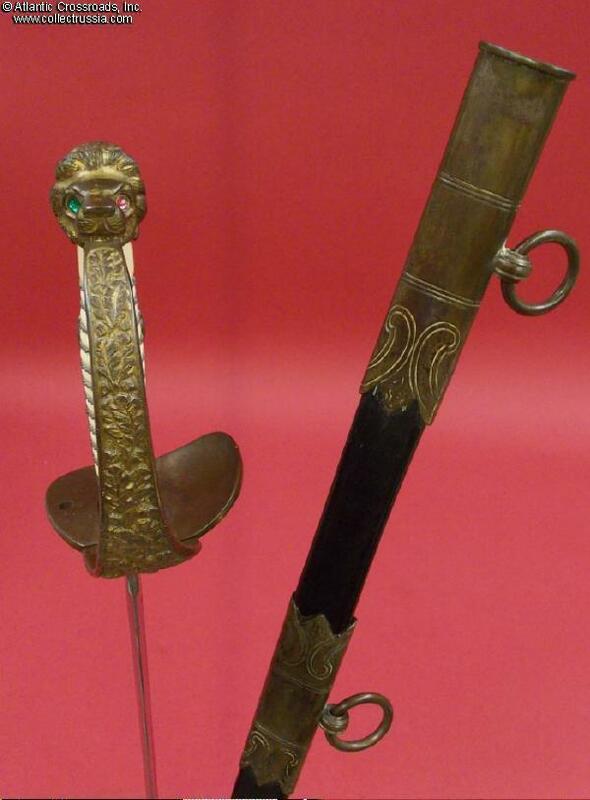 The scabbard is wrapped in black leather with ornate brass-plated fittings. 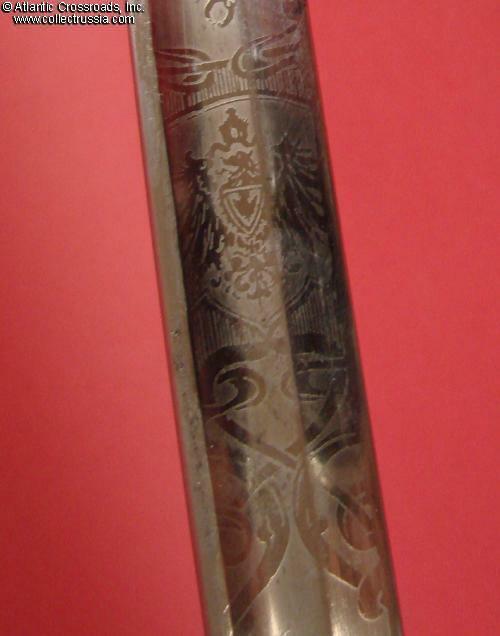 The sword is in excellent overall condition. The unsharpened blade shows only minimal in and out wear and occasional light spots, no oxidation, noticeable pitting, nicks or other damage. 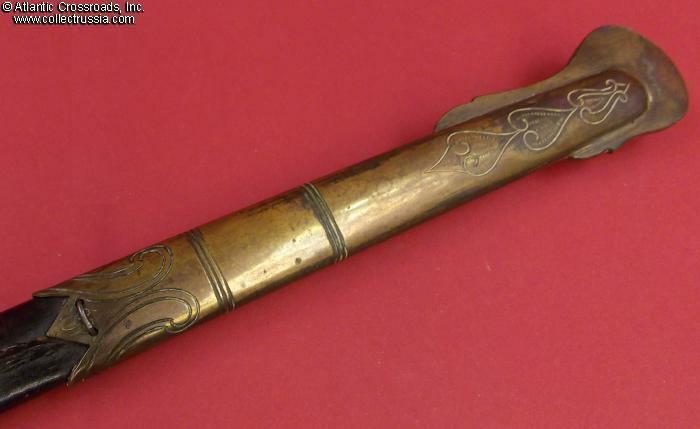 The hilt is simply superb. The beautiful, evenly toned ivory appears to be literally alive with mild glow. Although there are the usual hairline cracks running lengthwise they do not threaten the integrity of the grip in any way. 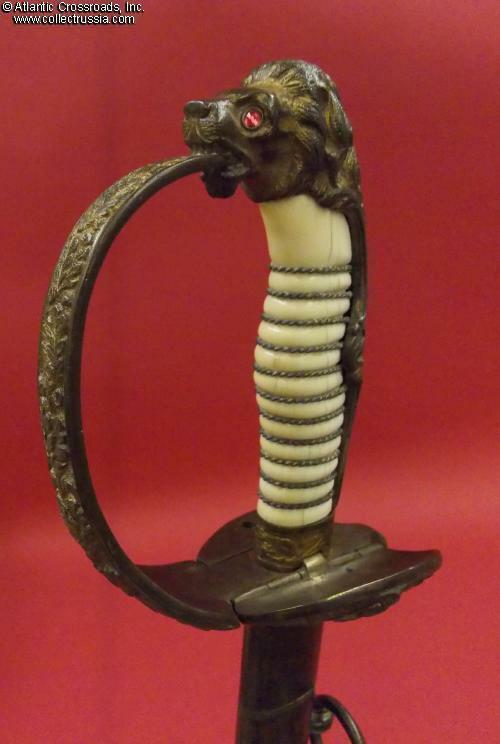 The wire wrap is original and firmly attached which is quite uncommon to find on surviving edged weapons of the period. 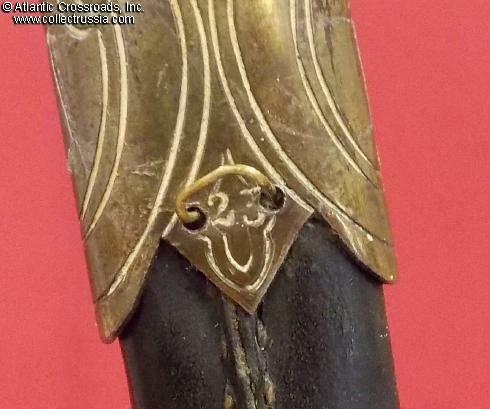 Most of the original gilding remains intact on the lion head and bow. 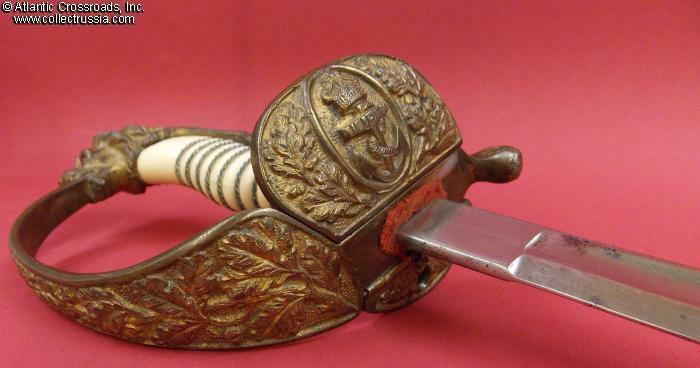 The clam shell lock is fully functional folding into the corresponding scabbard pin smoothly and effortlessly. 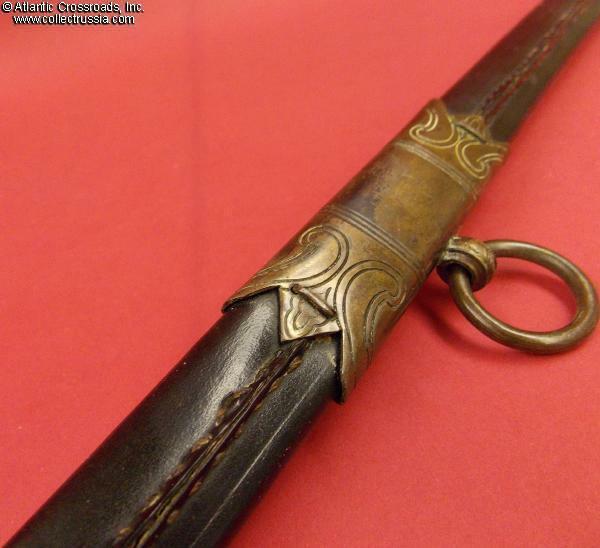 The leather of the scabbard is in outstanding condition, supple with healthy gloss, completely free of scratches or scuffs. 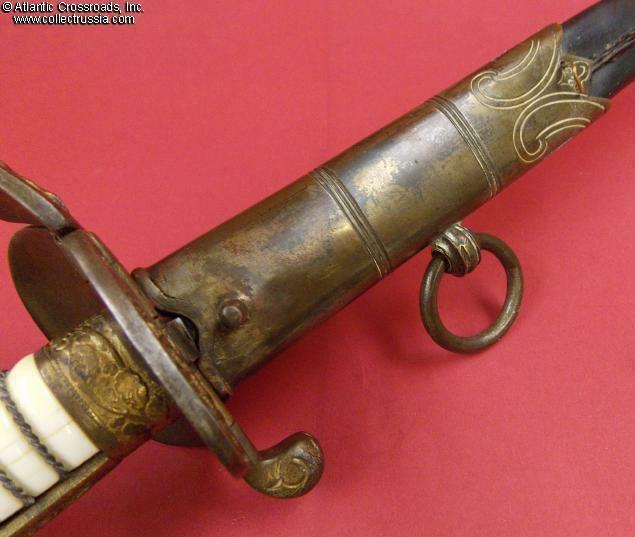 The fittings of the scabbard have occasional areas of dark patina that adds character; however there are no dents, rust spots or scratches. The wire pin of the upper fitting is a period replacement, not a significant defect by any measure. 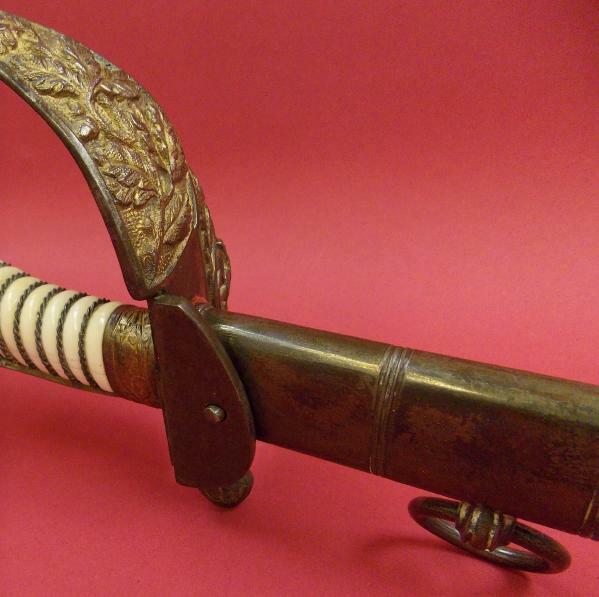 This superb sword is incredibly well preserved considering that it is century old!